As we age, skin loses its elasticity, and dynamic wrinkles begin to form. 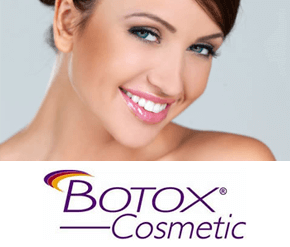 Botox is the pharmaceutical company Allergan's trade-name for the protein and neurotoxin Botolinum Toxin. The protein is used cosmetically as a muscle relaxing injection for the treatment of wrinkles. Like Prozac and Viagra before it, Botox has become an established brand name in its own right and for good reason: because it just plain works. While it may have made its name through celebrity use, Botox is an affordable treatment that anyone can access. Unlike some cosmetic medical treatments, it's suitable for virtually anyone who has wrinkles or other skin lines that they want to remove. This includes people who want to fight the signs of natural ageing, or those who've developed lines from exposure to the sun. The wrinkle reduction treatment involves injections of a purified botulinum protein which relax the muscles and smooth the skin giving a youthful and natural look. Botulinum Toxin® is internationally established as a highly effective and safe way to treat forehead lines, frown lines and eye wrinkles and has been used for over 30 years without any known long-term problems. The needle used is very fine and only a tiny amount of substance is used so pain is minimal. No sedation or local anaesthesia is required. Approximately fifteen minutes. You can then get straight back to work! There is no downtime with botox treatment, although it is important to avoid anything strenuous for 24 hours such as going to the gym. It should take no more than a couple of weeks before the full effects take force, and once this is complete they will last for several months. The effects can last from three up to six months, at which point you can book a top up treatment. Clinical studies indicate that this treatment has a cumulative effect, so you should need fewer injections as time goes on. Generally there aren't any side effects bar occasional mild bruising, and other than avoiding strenuous exercise for a day or so, there isn't any need for a recovery period, so you can carry on your work and life uninterrupted. Contrary to some horror stories, Botox treatment won't leave you unable to show expression such as surprise or to frown when administered correctly! The only difference is that the frown lines won't be there when you don't want them. Using high SPF sun cream to protect your skin from sun damage can keep your skin looking younger for longer.